There's just something I really like about the Firelight trilogy (Hidden aside, since I haven't read it yet at the time of this review). I mean, the books aren't amazing or anything (and I don't mean that in a rude or snarky way), but they just have something likeable and enjoyable about them. Maybe it's because it's a fantasy that is super fantasy-y, or maybe it's because these books have a little bit of everything. Either way, I'm happy to have finally started this trilogy, even though I do have a few issues with its second book. Vanish has an interesting plot going on. Jacinda, a draki (aka dragon), has returned to her pride (unfortunately) after some things happened in Firelight and her, her sister Tamra, and mother, had to leave living among humans. Since they weren't supposed to leave the pride in the first place, things aren't all that great when they come back. Tamra, for the most part, is fine, since she's changed, but Jacinda and her mother got the short hand of the stick. Mom acts depressed, while Jacinda becomes a sort of social outcast. Of course, things happen (things I won't tell you because of spoilers), and a lot changes. There's a nice cast in the book. It's told from the POV of Jacinda, and the poor girl just can't catch a break. She's forced to leave the pride but doesn't want to, then gets dragged back but doesn't want to. All she wants is to be with Will and her family, and be a draki, but she encounters several roadblocks on her path to freedom and happiness. Will and Jacinda love each other, but there's a problem: not only is he not a draki, but he's from a family of draki hunters. That alone causes several problems. Cassian forms the third point on the developing love triangle, which I didn't exactly mind. In the pride, Cassian and Jacinda are, basically, betrothed. But then stuff happened and Will came along, and Jacinda, who never really wanted Cassian in the first place, pushed him away even more. But then even more stuff happened and Cassian was back in the picture. When Jacinda was with Will, that's who I wanted her to be with. When she was with Cassian I, for the most part, wanted her with Cassian. Cassian and Will both have faults--mainly their slight overprotectiveness and sense of ownership, and their families--but I like them. However, I'm team Will. A character that's more of a group is the pride itself. The draki live in seclusion and live by a set of rules to protect themselves from humans and hunters. (They look like humans, but they can shift into dragons.) They didn't seem too bad in Firelight, but in Vanish they kind of come off as a cult. Severin, Cassian's father, rules the joint, and he's not very nice about it. After Jacinda's family's escape, rules were tightened down, and a lot of fun left the pride. And with a lot of Vanish taking place in the pride, it was interesting to see how their world worked. Yes, they pretty much lived like humans, but some of their ways were somewhat ancient, like what Jacinda gets sentenced to. I didn't mind Sophie Jordan's writing. I may have had a few issues, and it was a simpler style, but it was readable and really helped this fantasy have a light and fun feel. Also, I really appreciate something Sophie did in this book. (Minor spoiler alert.) That would be Will. In a lot of books, the girl and guy get separated and don't see each other until like halfway through the book, which is frustrating, because what good is romance and such if the two people involved aren't in the same room? Sophie, however, gave us a few scenes with Will to help dwell that frustration down, and while I wanted more (of course), I really, really appreciated that we still got a few glimpses of him, and I think it helped the flow and the story. It was a little slow at parts, especially since I was waiting for Will to show up or for something big and crazy to happen, but it wasn't too bad. There is one thing that kind of sort of drives me crazy with these books: the draki. I get that their humans that can transform into dragons, but I can't figure out what they look like! I think I have a vague idea, but then some descriptions of appearance or things they can do make me think again. I JUST WANT TO KNOW WHAT THEY LOOK LIKE. 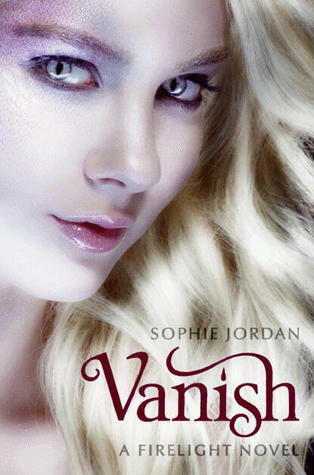 Vanish ended up being a great companion to Firelight. In the first book, we see Jacinda the Human, living in the human world and how she functions there. In Vanish, we see Jacinda the Draki, living where and (sort of) how she's supposed to be living, and it's interesting to see the contrasts. 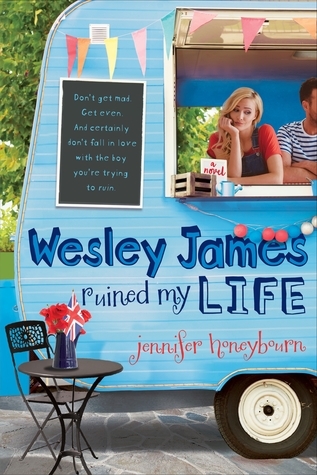 While this book did have its issues, it's not really a bad book; it's just one of those average, fun sort of books, written in a way that makes it a lighter read, which is always refreshing. I think this may be what some people might call a "guilty pleasure" book, but I don't really have any guilt in reading this book (or any, really, for that matter; it's an interesting term, "guilty pleasure"). I will definitely still read Hidden, the finale to the trilogy. After how Vanish ended (what are they doing?) and reading Hidden's synopsis, I'm not quite sure what's going to happen and how everything's going to end up and how questions will be answered, but I'm definitely interested in finding out! Would I reread it? Maybe, when I want something fun and that isn't a contemporary. I wouldn't say never! Would I purchase it? I already own it! Would I recommend it? It's not something I'd shove in your face, but it's a lighter, more fun book, in my opinion. I need to read these books! Great review! I've read the first two books in this trilogy but for some reason I haven't finished it. I really enjoyed the first two for the same reasons you mentioned; they're light fantasy and the writing is simple. They are quick reads. I'll have to get around to reading the third one soon. Great review! I liked this series but couldn't quite love it-I think the writing just makes it easy, like you observe. I'm a huge fan of Will though so I loved every scene where he popped up even though I wanted more.